Scientists at the University of Texas Health Science Center at Houston (UTHealth) Medical School recently begun a new clinical trial studying two forms of stem cell treatments for children with cerebral palsy (CP). The double-blinded, placebo-controlled study's purpose includes comparing the safety and effectiveness of banked cord blood to bone marrow stem cells. The trial is led by Charles S. Cox, Jr., M.D., the Children's Fund, Inc. Distinguished Professor of Pediatric Surgery at the UTHealth Medical School and director of the Pediatric Trauma Program at Children's Memorial Hermann Hospital. 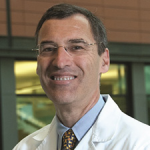 Co-principal investigator is Sean I. Savitz, M.D., professor and the Frank M. Yatsu, M.D., Chair in Neurology in the UTHealth Department of Neurology. The study builds on Cox' extensive research in studying stem cell therapy for children and adults who have been admitted to Children's Memorial Hermann and Memorial Hermann-Texas Medical Center after suffering a traumatic brain injury. Prior research, published in the March 2010 issue of Neurosurgery, showed that stem cells derived from a patient's own bone marrow were safely used in pediatric patients with TBI. Cox is also studying cord blood stem cell treatment for TBI in a separate clinical trial. A total of 30 children between the ages of 2 and 10 who have CP will be enrolled: 15 who have their own cord blood banked at Cord Blood Registry (CBR) and 15 without banked cord blood. Five in each group will be randomized to a placebo control group. Families must be able to travel to Houston for the treatment and follow-up visits at six, 12 and 24 months. Parents will not be told if their child received stem cells or a placebo until the 12-month follow-up exam. At that time, parents whose children received the placebo may choose to have their child receive the actual stem cell treatment through bone marrow harvest or cord blood banked with CBR.